You might have heard from your Italian friend complaining about the scorching heat in Europe this past summer. But how did the glaciers react? 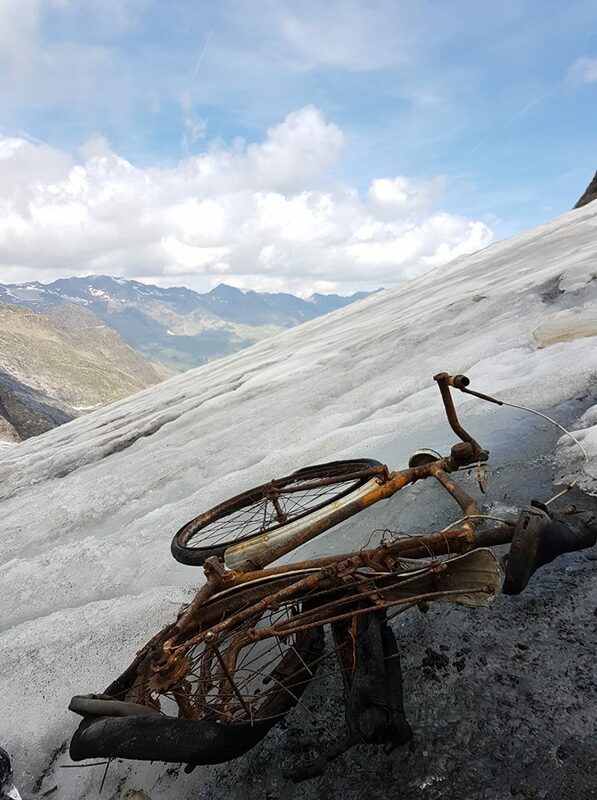 In the Ötztal region of the Italian Alps, an antique bicycle showed up after Rotmoosferner Glacier melted at 3,000 meters. Scientists estimate that there has been an accelerating trend of glacier retreat in the region where the glacier is located. Where did the bicycle come from? It might be related to the vigorous smuggling business between the Austrian and Italian border after World War II. This Photo Friday, view images of Rotmoosferner Glacier’s retreat and the surprise find of the antique bicycle. 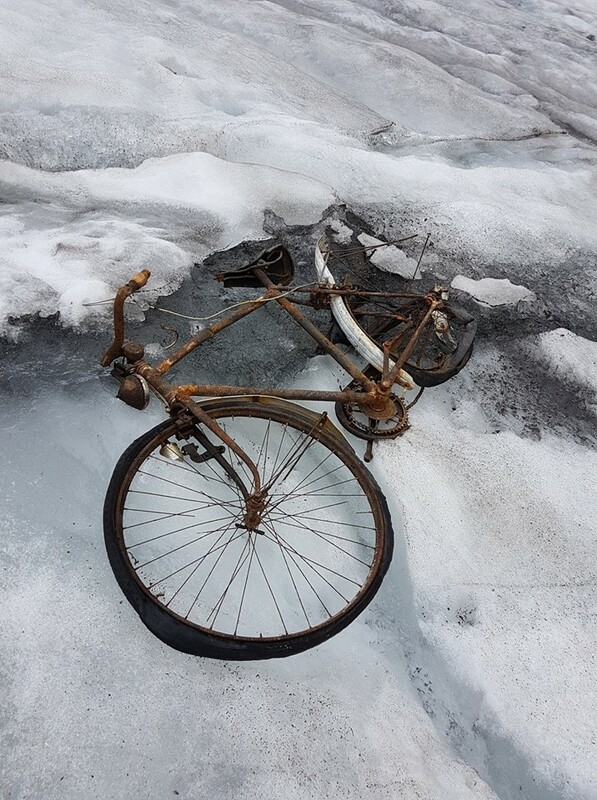 Another view of the bicycle found during the melting of Rotmoosferner Glacier (Source: Berghasen/Facebook). 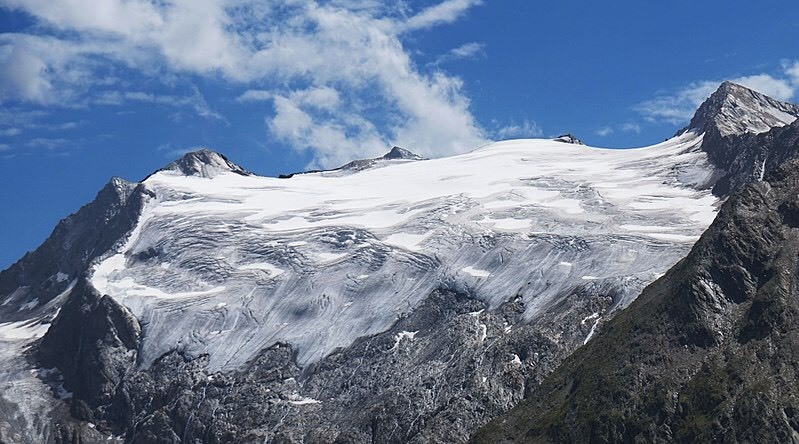 A photo of Rotmoosferner Glacier captured in 2017 (Source: Tiia Monto/Creative Commons). A map of the boundary (a) and thickness (b) change of the Rotmoosferner glaciers from 1969, 1997 and 2006. The early period of retreat from 1969-1997 is relatively slow. The recent retreat from 1997-2006 has rapidly increased. (Source: “Quantifying changes and trends in glacier area and volume in the Austrian Otztal Alps“/The Cryosphere). Previous postTotally a stress free day, finally.